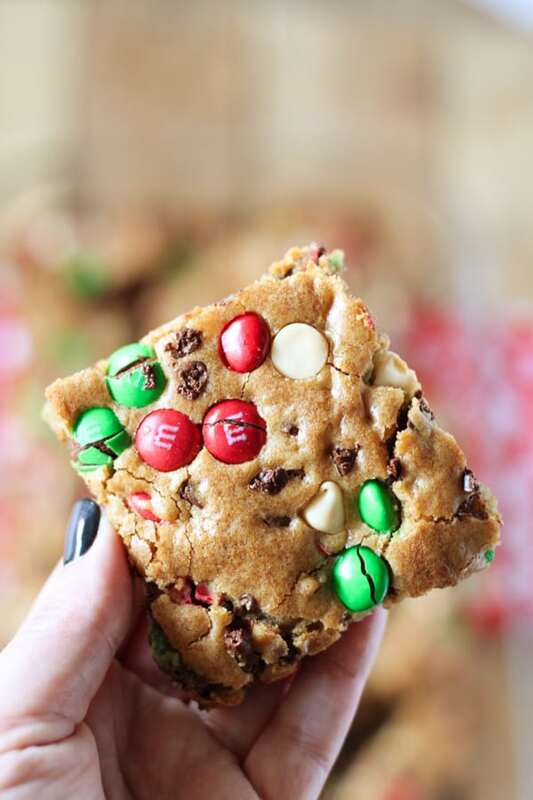 These cookie bars are one of the favorite recipes! 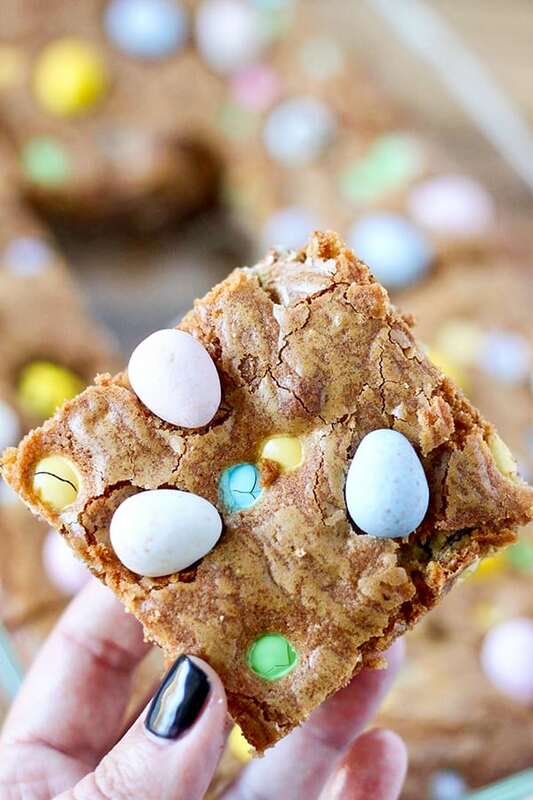 The combination of crunchy colorful M&M’S and that ultra delicious Cadbury Egg chocolate in this Easter version makes it even better! What does Cadbury put in their chocolate that makes it so addictive? 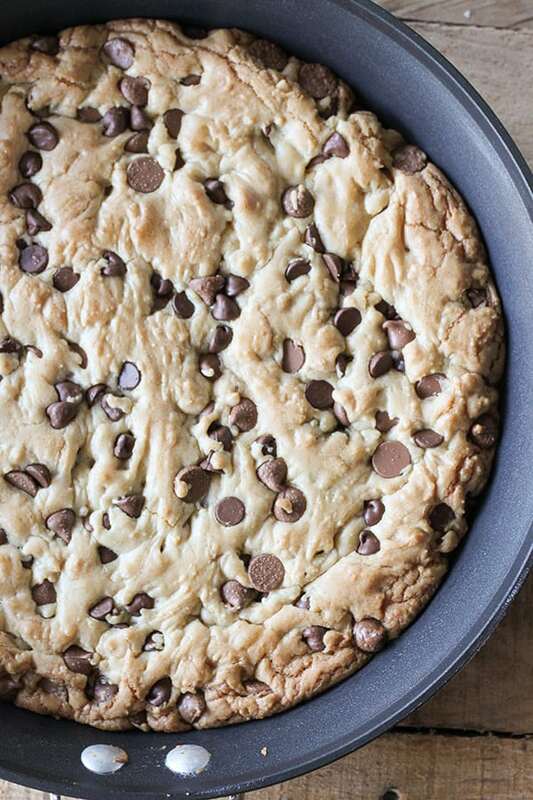 Whatever it is, these cookies are loaded with it! 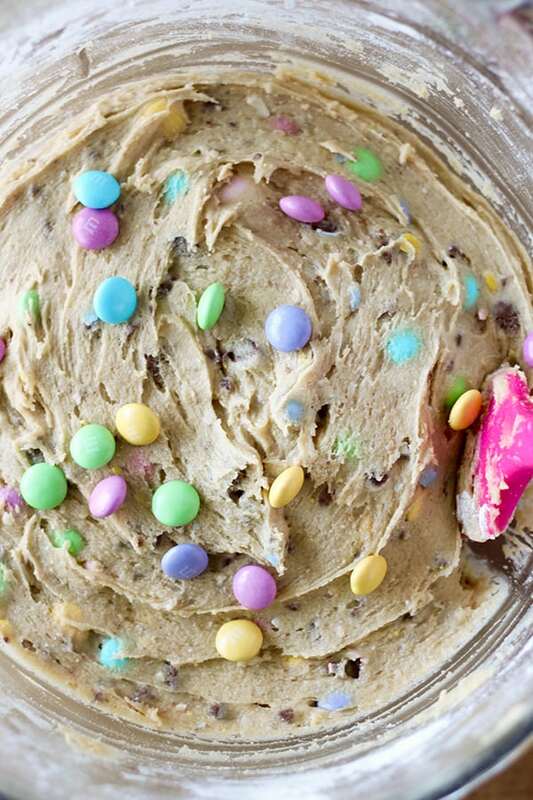 Since the chocolate eggs are heavy, I crushed them and baked them in the cookie dough. 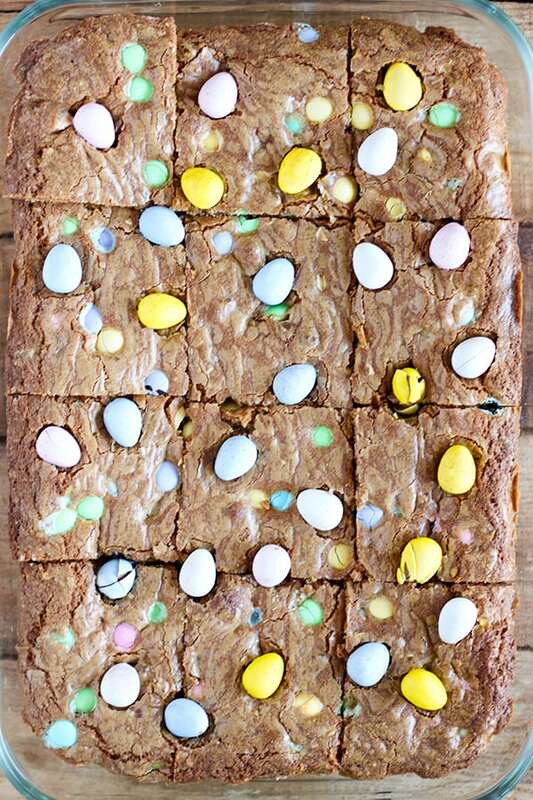 Then added more chocolate eggs to the top of the cookies bars once they were baked so you can see the pretty whole chocolate eggs! 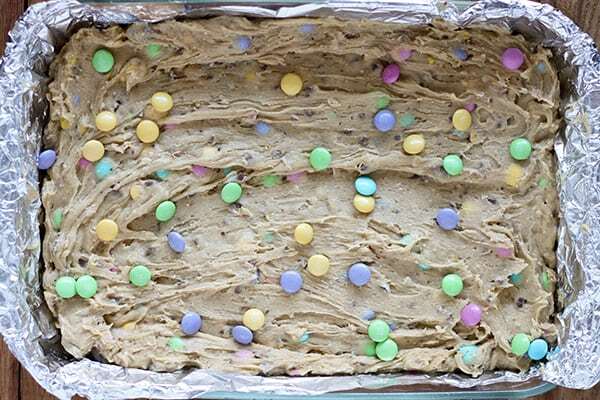 Before baking, top the cookie dough with additional M&M’S but not the additional chocolate eggs! The chocolate eggs are heavy and will sink down to the bottom while baking. 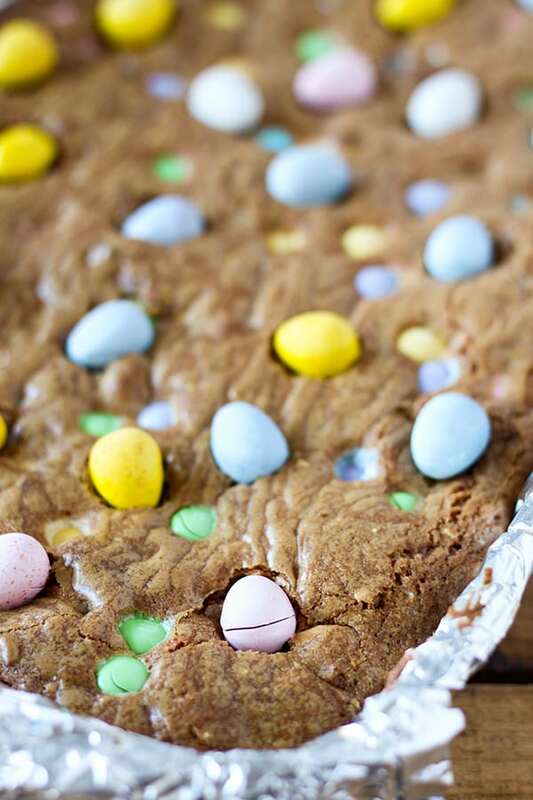 While the cookie bars are hot from the oven, gently press additional Cadbury Mini Chocolate Eggs into the top then let cool. 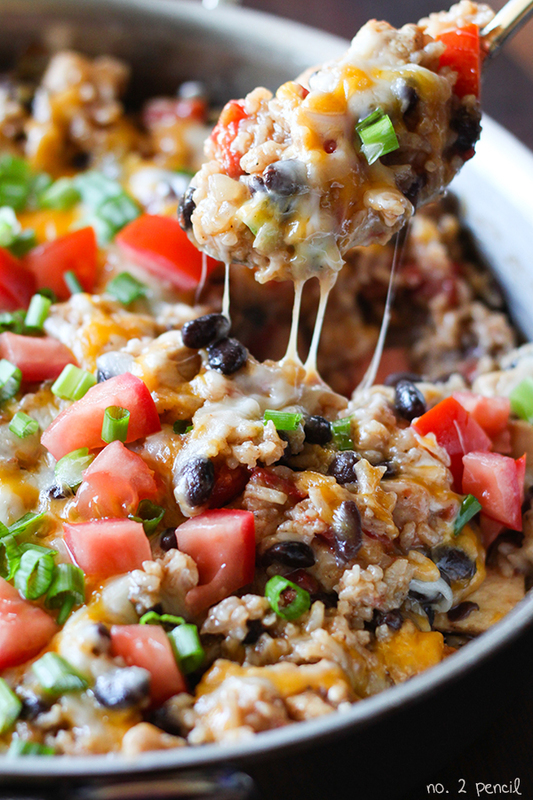 Add M&M's and crushed Cadbury Chocolate Egg pieces and give a final stir. 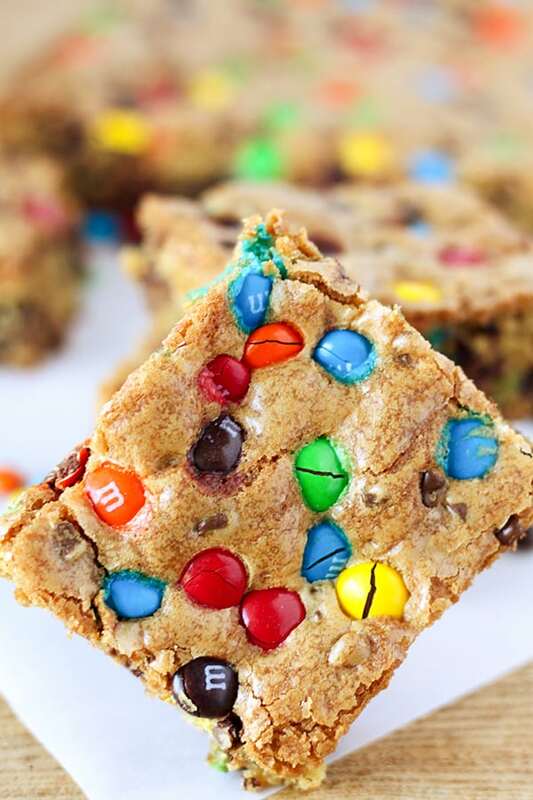 Press additional M&M'S, into top of cookie dough. 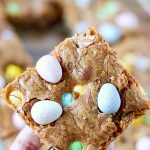 Remove from oven and immediately press whole Cadbury Mini Chocolate Eggs into top of cookie bars while they are still hot. 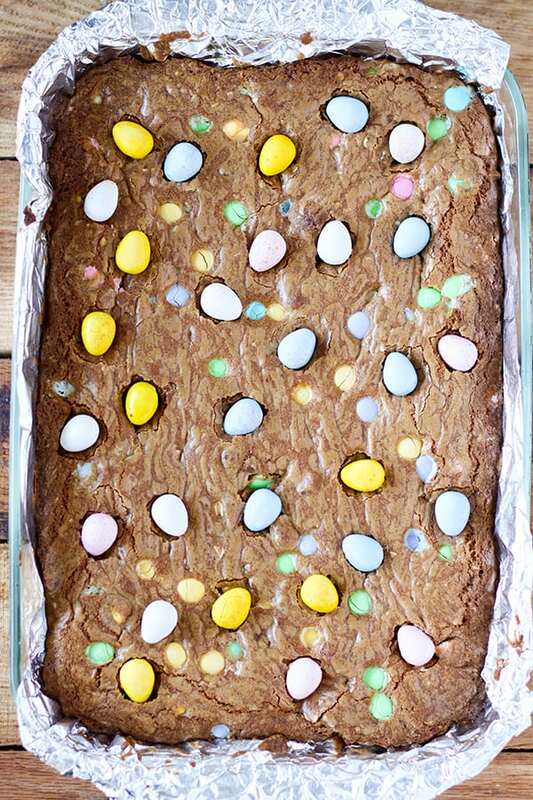 For this recipe, you'll need one 11.4 oz bag of Easter colored M&M'S and two 10oz bags of Cadbury Mini Chocolate Eggs. Yum! I just love the pretty Easter colors!